My grandfather must have had a lot of courage and been a very brave man to survive in a wilderness among Indians, wild animals, starvation and severe winters for three years at a time. He was also a very rugged man to survive diseases and so forth. He was the chief factor of the Hudson Bay Fur Company [I think he means the Pacific Fur Company], a partner of John Jacob Astor. He joined Astor's expedition to the Pacific Coast in 1810, after leaving the North West Company. Another study of his understanding of people was the governorship of the Red River settlement, a time of floods and sickness and starvation. His word was law at Fort Garry (now Winnipeg) in 1824 and in 1833(?) he retired with his wife and five children. He set out for Chatauqua Co. N.Y. by way of the Lake of the Woods and the great lakes to Buffalo. He built a large brick home there in 1833, and lived there until the time of his death in 1851. Several of his children were born there, the younger ones I believe. My mother, Ella Adlegonde Eddy was the youngest. The youngest boy, Harold, loved Scotland so he sent to Scotland for the bricks in his home. I well remember my visit to the Mayville home in 1896, with my mother. We arrived at the station and were carted in a one-horse omnibus to the home on the hill. Not the old folks' home? No. And there we met the occupants, my Uncle and my Aunt Catherine, both in their early seventies, and their housekeeper, Maggie, an old servant for many years. I was shown an old bedroom, with the old bed. You mentioned that she used snuff. Was this the kind you inhale up your nose? Do you remember her doing this yourself? Yes, I saw her do it. In her dress she had a little pocket, you know, and she'd take out a little tin and she'd snuff. Did you ever try it yourself? Oh yes! You sneeze. My Uncle Roderick told her, he said she's going to die. He said that would go to the back of her head and kill her. There was an old bed my grandmother slept in, and a trundle bed under the large one. It was pulled out to use. This my mother used when she was a little girl. I then was shown a clothes closet under the stairs in the hall, where some of Donald's clothes, boots and wigs were stored just as he left them. Then we went to New York City to see my Uncle Henry MacKenzie. He lived in Flatbush. He gave me some candy and told me to be a good little boy. He was the president of the Log Locomotive Works in New York City. My mother was married to my father, Thomas H. Eddy in the little church around the corner in New York City, June 22, 1882. Of this marriage were Fanny, 1884, since passed on; myself, 1886, Adele, 1888, and Donny, 1890, all in their eighties. My sister Fanny, the oldest granddaughter, was 86 years old when she died, January 15, 1971. I will be 86, on June 3, 1972 (this year). My grandfather was born in the Highlands of Scotland in Ross-shire, near Inverness in 1783; Inverness being the capital. His mother's name was Catherine; his father's name was Alexander and he was killed in a duel in 1789.
Who told you first about your great-grandfather having been killed in a duel? My mother told me that when I was a little boy. Did you ever hear who it was that he fought in this duel?" No, and I wasn't old enough to ask. Was the other person killed too, or don't you know? This took place in Scotland, I presume? In Scotland. I imagine, near where they lived. I don't know what the argument was. They had clan troubles in those days, you know. Different clans and sometimes they took an insult so they went to a duel. That was in 1789. There's a recent book out on Sir Alexander MacKenzie, which I'll show to you by Dr. Lamb, who was the head of the Dominion Archives in Ottawa. I would contact Dr. Lamb to see if he has any information on this incident. He might, it must have been known all over the place. It's in Boston, there in the Archives records. My daughter when she was making the family tree, found it. He was a young man then, I think he was in his fifties. He was the son of Roderick of Eccleburgh. I had a family tree traced from Colin MacKenzie made by my daughter, Patricia West Stevens. From Colin Mackenzie of Kintail, 1594, then down a couple of generations to Sir George Mackenzie, first earl of Cromartie, 1630 to 1714, then one more generation to Roderick of Eccleburg. And, of course, this puts it down to Alexander, Donald's father. Alexander MacKenzie was buried in Gar Cemetery, where it is recorded on his monument just inside the graveyard, in Rosshire. The family of Alexander and Catherine Mackenzie comprised seven children: five sons and two daughters. Donald was the youngest. Murdock, Roderick, Henry and James came to Canada years before Donald and were well established long before Donald arrived in 1801. And they were all Nor'Westers. Roderick and his cousin Alexander Mackenzie of the Mackenzie River wrote several letters to Donald Mackenzie telling him to come to Canada as it would be a wonderful chance to establish himself in the fur trade. So he gave up his idea of being a minister and came over in 1801. The two girls, Barbara and Alexandria remained behind in Scotland. A great many articles and books have been written on Donald Mackenzie - some are as follows: "King of the North West", by Cecil Mackenzie and others by Washington Irving, Alexander Ross, and Ernest Crawford. My daughter, Alice and her husband John West, spent 17 days in England and Scotland recently. They rented a Hertz car and drove from England to Glasgow, then on to Edinburgh and to the Highlands to Ross-shire where Donald was born, near Inverness, and spent some time there. They went to see the old Mackenzie Fortress; they talked to some of the people along the roadside and met an old man who knew where the Earl of Cromartie lived, and they told them where the castle was so they drove up to the entrance door, and rang the bell, and a member of the family came to the door. My daughter asked if the Earl was home. She said, no, but she would tell him that a pretty lassie with a twinkle in her eye called to see him. My daughter said she was from the United States and that she was from his side of the Mackenzies. This member of the family said he was sitting in parliament. [The Earl of Cromartie sat in the House of Lords.] The Earl has a son, John Mackenzie [Viscount Tarbat] who is heir to the earldom. My mother said her father was a very large man and had very large blue eyes, and curly sandy hair. Donald MacKenzie and Aldegonde Droz by his second wife, the thirteenth born of this union: Jemima, Roderick, Catherine and Noel were born in lower Fort Garry, Winnipeg. The others were born in the States. Fennela, Alexander, Alice, Henry, William, Donald, Celeste and Humbertson, and Adlegonde were born in Mayville. All of the above, of course, have passed on and all of their issue have also passed away excepting myself and my two sisters. My mother, Adlegonde, died in 1911. My father, Thomas H. Eddy died in 1897. Donald Mackenzie was one of the MacKenzie cousins and brothers who opened up the North West. Donald MacKenzie came to Canada in March 1801, at the age of 17 years. My family consists of my wife, Alice, born in 1894, and there were five children born of this union. Thomas H. Eddy, 1918, now married to Alice Riley, no children. He's an assistant vice-president of the Lincoln Rochester Trust Company, Rochester, New York, he lives at 154 Rockingham St., Rochester, N.Y., and Alice Eddy West, 1920, married to John A. West, president of Westlex Corp., Manchester, N.Y. They lived in Honeyoe, N.Y., and they have two daughters, Patricia West Stevens. She's married and is 24 yrs. old - no children. Libby West, 12. She lives with her father and mother and goes to school in Rochester every day. Then there is Virginia Eddy, 1922, married to Paul Carl. They have two sons - John MacKenzie Carl, 16, and Jeffrey James Carl, 12. They live at 22 Highland Ave., Rochester, New York. John MacKenzie Eddy - born 1930, died 1953 - automobile accident on the way home from service in the Korean War; met two sailors head on. He was the only one killed. Also, Martha Jean Eddy, born 1932. She lives with us, at 14 Continental Drive, Rochester, N.Y. I want to thank you for this interview so I can say that I'm proud to be a grandson of Donald MacKenzie, a man that did so much for the old North West. Well, that first part of the interview was very good Tom. You've covered a lot of territory in your remarks about your grandfather, Donald MacKenzie, and I think what we'll do now is to broaden this interview out and get more information. I'm going to ask you a number of specific questions after which I'm going to go over the MacKenzie file which will suggest other questions. The first question I want to ask you is regarding Alexander, the late Alexander MacKenzie of Toronto who died about 1927. Now this man would be a grandson, one of your grandfather's sisters. I have been trying to locate his papers which were supposed to have been deposited in the Ontario Archives back in the 1930's, and so far I have been unable to locate them. Did you ever meet this Alexander MacKenzie?" No, but he sent me a picture at one time and I've been trying to locate it, but I haven't found it. He was a very nice-looking man with whiskers. He started this MacKenzie history before Cecil MacKenzie, so when he found Cecil was doing it, he quit. He told me about some cousins up in Canada that were related to us. He had no children. I gave him some information and then I had notice of his death. That is about as much as I know about him. Well, I was trying to locate decendants of his about three years ago. I went around to the house where he used to live in Toronto to see if there were any neighbours in the area that might have remembered him. None of them did. Was his wife alive then? No, she's dead too. It's now part of the Italian section of the city, and those people don't know anything about him. However, there was an old lady living several houses away who remembered him and suggested I go around to the local Presbyterian Church. Well, through contacting the church I got the name and address of a niece of his wife. Her name is Miss Campbell and I'm going to see her. Did you ever hear what happened to any of the papers he had? No, I didn't. I haven't heard any more news about him. Do you know if he sent his papers to Cecil MacKenzie? It's possible. Donald MacKenzie of Mayville, New York started a book at that time. He quit too because Cecil was a better man for that job. Did you know your cousin Cecil? We were friends. In fact I was friendly with all of the cousins in my family. There was so much difference in the ages that I treated them more as elders. At that time I was aged 25 and they were in their 60s and 70s. Yes, that would make quite a spread out generation. Cecil went to Cleveland to see the Peuffercoffers there (the correct spelling is Pupikofer – per Sprague Benjamin Mackenzie – July 16, 2005), the relations of Fennela Mackenzie. With whom was she married? Dr. Peuffercoffer (the correct spelling is Pupikofer – per Sprague Benjamin Mackenzie – July 16, 2005). The last time I was over here to see you, you mentioned that a man by the name of McCrimmon called on you. He came back from the service in WWI and he wrote me a letter and said he was coming to see me. I was interested because he brought me some bricks from the old fortress, a home of Donald Mackenzie, and he went up to Inverness and met all the relations at that time who had not come over to this country. He went to a little fishing village nearby and talked to two old ladies and they were great aunts of mine. He told me all about his trip. He was a real nice fellow and wrote letters often and sent pictures. He had a brother in the surveying business. I got word from the family that he had passed on. When did he visit you here in Rochester? Did you keep in touch with him by mail after? Yes, I used to write to him and we'd send Christmas cards. Where did he live in Canada? You say he was a surveyor? Your aunt, Mrs. MacDonell of Buffalo who was a daughter of Donald MacKenzie was an older sister of your mother's? There was an article in the Buffalo paper about her old house. Yes, I was administrator of the estate. What became of all the papers and antiques, and so on that were in the old house? Well you see as executor I had a sale there. I sold all the antiques in that house to one buyer, and he wanted to have an auction, sell them at the home. This I refused to do, so he took them to his establishment and sold them, and at the sale he found an old doll there. It was the doll of one of the babies that died of scarlett fever, and he auctioned that off, and I sort of felt kind of bad when I saw it in the paper. Maybe I should have had the sale at the house in the regular way, but it was just one of those things. Were there any old papers, letters and so on? Oh, there were plenty. The deal was he'd get everything. He paid me a top price for that time, $650.00, and the deal was he'd have everything, and of course to get that price I had to give him everything. What year would that be Mr. Eddy? Let me see, that would be in 1940 or so. Would you remember the name of that dealer? No, I don't remember him. He was kind of displeased because he couldn't have his sale there. I think he lost some money partly by having it in his establishment. I wonder, would he still be alive, that dealer? Could be. He wasn't an old man. Where could we get his name? He lived on the outskirts of Buffalo, Rochester and I went to his home. I can give you the estate papers and you might find his name there. Now, you were mentioning your Aunt Jemima, that's Mrs. John MacDonell who lived in Buffalo. What were the stories that she told you about your grandfather? She told me that they hired a lot of Indians, and they went in two big canoes to the States for goods, with all their paraphernalia, bags and baggages. They came through the Lake of the Woods through the Great Lakes to Lake Chataqua. In the evening when they'd go through it they'd all sing French, Canadian and other songs, in he moonlight when they would paddle. Now, this was your uncle? Yes, my uncle, Noah. He was a little boy then and he fell in the water and a big Indian jumped in and saved his life, but he lost his. Did you ever hear where this happened? I don't remember what lake it happened on except it happened on the journey. On the journey from Red River down to Chataqua? To the Lake of the Woods. Why did your grandfather decide to move over to the States, to Lake Chataqua? His health, he felt as though he needed medical attention for he could get it easily and more appropriate for the kind of trouble he had and that was why he left there and of course there were letters back and forth. He was very friendly with Simpson and his wife and they wrote family letters back and forth about different ones & different friends they left behind, you know. He thought at one time he would go back. Go back where, to Canada or Scotland? Canada, he was through with Scotland. Sir George Simpson and his wife were quite friendly. Those letters are recorded in that book of Cecil MacKenzie's. Yes, we have a copy of the book which includes the letters. Did you ever hear of William Lyon Mackenzie, the leader of the Rebellion in 1837? Do you know if he ever visited your grandfather? Now if you've read about William Lyon Mackenzie you probably know that at the end of the Rebellion he escaped to the States. There was a reward for capturing him and he came over into the States and lived here for a number of years before he was pardoned and came back to Canada. In talking to one of your other cousins, John MacKenzie, down at Mayville, N.Y., he seemed to think that your grandfather might of helped William Lyon Mackenzie at some time, or was in touch with him, or sympathetic to what he was trying to do. You never heard any mention of that? You see my grandfather had died in 1851 and that's a long time back for anybody to remember. Well, I imagine this John MacKenzie just repeated something he heard his father say. Maybe he could have. His father might have said something. Would your grandfather have come to Buffalo fairly often? Oh he went there often - in fact he was interested in all the Black Rock Buffalo real estate. He bought up lots of real estate there in the outskirts of Buffalo, Black Rock and I think he made pretty well on it. Do you remember any other incidents about your grandfather that your mother told you? Any interesting stories? Well, let me see, there was one that Aunt Jemima told me. My grandfather used to ride horseback and he had saddlebags. By the way, Chataqua Lake is an Indian name - Chataqua means "saddlebag". They had these big saddlebags carried by a couple of straps on each side of the horse's back and he knew a couple of grocers in Silver Creek, that's about 30 or 40 miles from Nado. He'd go there on horseback and buy groceries, my mother used to tell. He'd bring candy, whole bushels of candy and all that stuff, and on the way back from one of these trips in 1851 he fell off his horse, and it was cold weather and the ground was hard and he got badly injured and he lived 6 months after that, but he wasn't well. This fall then was partly responsible for his death? That's what they thought at the time. By the way, my grandmother, after his death, had the home, 17 acres there and it was on a hill. There was an apple orchard at the foot of the hill. When my grandfather died, they buried him there. A couple of years later, my grandmother donated a farm next to the old cemetery to be used as a cemetery and then she moved his remains to that cemetery. Then they gave the cemetery to the town and she stipulated in the agreement that all of her family was to be buried in there. I know it's full; full of all different relatives who couldn't afford a burial ground. They were buried there. Then she had another anecdote which is nice. Talking about my grandmother, she was a very nice woman, a French woman. They had a big family of kids in the house and their big thing was education. So, my grandmother built a school on this property, hired a teacher and sent the kids to school, she also ran the school. Is this called the Mayville Academy? That's it. That was the first one. I don't know what it's called now, this new one. The Mayville High School, I think. Anyway her kids were educated there and she also built a church in the Mayville community and she went there every Sunday. She was a very religious sort of woman. There was plenty of money there and they educated all their kids. All the girls were put in boarding schools and boys went to college. They all had a good education. Of course there were thirteen weren't there, in the family? The other three were by his first wife? Yes, they lived there with him except the boy. When he was nineteen he went West. He didn't see any future for him here. His father's big family, I suppose, you know, finances. His name was Donald MacKenzie and he went southwest and they heard rumors that he was a very wealthy rancher and then he moved down to Venezuela or some place in South America. There were magazine articles on it, they told me, about where he donated money for schools. Donald had two sisters, what were the girl's names? Rachel and Caroline. One of them married a Peacock. Yes, and they were friends of my grandfather. Your grandfather's first wife was a daughter of Dr. John McLaughlin of the North-West Company and Hudson Bay Company, considered to be the father of Oregon. Yes, and they say her name was Maria. She would be part Indian? Aye, she was a quarter Indian because her mother was half Indian. They say she was well-educated and a beautiful girl. Her mother was a Wadin, daughter of the fur trader and she married McKay first who was killed on the "Tonquin." He came originally from Quebec, near River de Loup. Yes, and Maria was a wonderful singer, I suppose she fascinated Donald Mackenzie and both of them were in business at that time. Of course I don't know what the details were about the separation, but anyway, the kids remained behind, but finally they came to Mayville after she remarried Ermatinger. In those days my own ancestor, James MacMillan, was contemporary with Donald Mackenzie in the Columbia River District. They lived with Indian women but there would never be any marriage ceremony. I recall hearing about that. They had children by these Indian women. Many of these children were sent east to Montreal to school; some were even sent to Scotland. And I'm sure that your grandfather Donald would have met his first wife, while he was on the Columbia. Yes, but his second wife was shipped here by the Hudson's Bay Company, and she came from Switzerland by way of Hudson's Bay. They were bringing settlers into Red River. Didn't she come in about 1820? Now his first wife he would have brought her to Red River and at some point they separated. Yes, that could have been. And later she married one of the Ermatingers. Yes, she married one of the Ermatingers and they had this daughter named Fanny Ermatinger. And when I was a little child all I heard was about Fanny Ermatinger. She must have been a real friend of my mother, because that's all I heard talk, you know. Now, this Fanny Ermatinger, daughter of Donald Mackenzie's first wife. Did she come and visit Mayville, New York? Yes, according to my mother. Yes, she remembered at the time. Did this Fanny Ermatinger ever marry? I don't know that. She went down to New York City to visit my Aunt Bonnie. She lived in New York City and she was married to General Dr. Payne. He served in the American Civil War. They lived on 66th Street in New York. They had one child. Her name was Mary Louise and she married Tilden Swan. Tilden Swan's uncle was the one who lost one vote to being President of the United States. That is an interesting background on your family. Tom, you are a first cousin of Donald Mackenzie that lived in Mayville. He died about 15 years ago. Oh no, there was another Donald Mackenzie; E. D. Mackenzie and he lived at Corry, Pennsylvania and the other Donald Mackenzie lived in Duitville near Mayville. Wasn't there a Donald Mackenzie that lived in your grandfather's old house? No, this Donald Mackenzie lived in his father's house, William Mackenzie's home. They updated my grandfather's house and it was sold. They had a sale and a man by the name of Tennan was the lawyer. After Roderick and Catherine died, the estate was sold to a man by the name of Hoid. There was a stipulation in the deed that my grandmother made that the home could never be destroyed when she gave the property for that school. Since then they have pulled it down and it kind of bothered me. It's unfortunate that they did. Yes, but it's too late for me to start any trouble now. But I went there and I saw it and I took a picture of my daughter and grandchild in front of the place. This was a historical site? Yes, a historical site. They had one down at the bottom of the street and then they had one right at the house corner. And that was pulled off from the ground. I went to Mayville and got some old bricks from the old home. Did you ever hear of Washington Irving coming to visit your grandfather? Yes, he and Webster had come there. Daniel Webster, and someone stated that he was a great friend of my grandfather's. He was Lincoln's secretary. Lincoln's secretary during the civil war period? Yes, they were great friends. He lived in that home where the historical site is now and he lived there until he got through being governor, I guess. No, he lived there after the civil war and he was about seven miles from where Donald Mackenzie lived. He used to go back the Hogs Back Road And they used to travel back and forth. They were great chums. Did you ever hear of any of the other old fur traders that would have been working with your grandfather? They say, and I don't know how true it was, that Astor visited my grandfather there. This is John Jacob Astor? Yes, and also Lafeyette. They claimed that he stopped there. I don't know how true that is, but there are stories like that. My grandfather was a good mixer in the town. He was quite a politician, too. They had this Astoria affair. 50 for a quarter a fight. He was instrumental in that in some way. Oh yes. And they'd come there for conferences, some of them. Different cabinet members had come there to visit him and there was quite a duel in town. Some of the old timers would talk about it, but that's all I know. Did my ancestor, James MacMillan, who was in the North West Company and the H.B.Co. the same time as our grandfather ever visit? I never heard that he did. In 1830 he was coming from Red River by canoe with his family down to Montreal and he came down through the Great Lakes and mentions in a letter written in 1830 to his friend, John Hadgraves up at York Factory, Hudson's Bay, that while he was coming down by canoe on Lake Erie he couldn't see Donald Mackenzie's house, but mentions in the letter that while they were coming along Lake Erie, about two miles from the shore he knew his house was back on the hills. He comments that he would like to stop in to see him but didn't have time. He chose that home on the hill there. My grandfather lived in a little hotel on the main street there when they first came with his family for about a year until they had his house completed. And they finished the house and they moved in, after they got the bricks from Scotland. Isn't that interesting? That they would've brought bricks finished all the way from Scotland? All the way from Scotland for that house. Well, he was a man that wanted things a certain way. They called him Red Mackenzie of the Wilderness and they say that around Snake River in that place in Idaho there that he'd be gone for two to three months, sometimes six months. One time he came back there and he was just in rags and tatters. Bones were sticking out of his head. Well, he must have gone through a lot of hardship. He was on the overland trip that Astor organized to the Pacific? With Hunt from St. Louis. And the overland expedition was pretty tough going. So I suppose they had awful hardships. He was supposed to have been a very good shot with a rifle though wasn't he? In woodcraft. He knew how to survive in the wilderness and how to take care of his body and different herbs to use if they got sick. He learned that from the Indians. There was a story about the rattlesnake. Did you ever hear that? I don't know if I read it, or, I think my mother told me about that. I don't know how true that much of it is. They were sitting around you the way the Indians do. They were having a pow wow or some kind of a meeting and of course they had to pass their pipe and smoke it, and my grandfather had a beautiful red coat on. One Indian kept looking at it all the time, and my grandfather knew by nature of the Indians that if they wanted something they'd kill somebody for it. So they made him a bed. Of course he'd be on the rattlesnake's bed and so he put his bags and boxes that they put on his bed and he had some cookies and things on there. In the middle of the night, I suppose his warm body stirred the snakes up and one of the big rattlesnakes crawled over his body and went right up over his head and got his cookies. He laid very quiet. When he got a chance he got out of the bed and the next morning he picked that man out and he said. "I know you want this coat" and rather than my grandfather killing him, he used tactics wanting other business out of him, and for some reason he gave him the coat. Boy, he was his great friend. I'm sure he would have been. The Indian wanted that coat and that's how he got it without killing him. But he thought that would be a good way to kill him and get his coat. They'd kill their best friends, some of them would. And, of course, he knew Indian law and all that kind of stuff. He must have to have survived. He would have to, of course. The traders with the North West Co. were very good in getting on with the Indians. They did what they thought was necessary to get their trade, and as a rule they got along reasonably well with the Indians. In those days there, they'd come back to their home. He came back from the wilderness and finally came back to Mayville to a different kind of a life. But they carried the old, call it jargon language, they used with the Indian. My mother would tell me what they'd say. She heard it. She was then youngest, you know. She was no more than a baby when they'd tell their stories. He'd tell a story about an Indian behind every tree and baby buffalos and they'd call the children. And he'd tell my mother about picking up babies all over and trying to peddle them to other people so they wouldn't starve or be eaten up. He said they were on bushes and you'd hear babies squalling. The Indians would get rid of their babies if they couldn't support them. He'd pick them up, take care of them quite awhile. She said that she thought an awful lot of her father. You mentioned the fact that you've been in business quite awhile yourself. I understand as a contractor building houses, apartments and so on. When you were a young man you said you knew George Eastman who founded Eastman Kodak Co.? Oh, Yes, I knew George Eastman. He had dark hair and he had a little white spot on the back of his head. He was a very good friend of mine. He'd be a lot older than you, of course. Oh yes. He was an old man when I was a young man. I owned 44 acres adjoining his plant down in Rochester. That would be a valuable piece of real estate. Oh, yes. I sold him about 25 or 30 acres so they could build on it. In fact he wanted me to go in the plant at that time. They had openings for young men. He said "You're a hustler and I like the way you do things". I even put a sewer there to help him out. The street was bumpy and I said "George - Mr. Eastman, I'm going to name that street after you". "Well," he says, "have you got the plan? He said to bring it in, so, when I did he looked it over very carefully. So I started building, and I got an idea that George Eastman might help me finance it. I had that idea in my head, you know, assuming he had lots of money and so I went to him and asked him, "How about helping me finance these houses. The owners are all going to be employees of yours. They are going to work in your plant, right handy and save time. They'll eat their dinner and run right into your plant. He said "No, I wouldn't loan you any money that way". He said "But I'll do it in a bulk way. We're going to have an insurance fund set up here so an employee can put so much earned a week into a fund so when he gets enough he can draw it out and pay the mortgage off. They'll get outside mortgages until that time comes. You'll be paid off by this association with Eastman Loan Association and take care of it that way". So I got them all financed and right after that every year four or five would take a deed and I would give them a land contract. What years would these be? That would be from 1912 up to 1920. It worked out very nice that way. Those houses are still standing. His mother lived with him until she died. Then he built that big home. He didn't have any family? No, he was a bachelor. I think he was pretty near 70 when he died. He shot himself. He had a malignant trouble and he used to carry on and he conferred with ministers as to whether he should do it or not. He just didn't know. You were saying Eastman gave you nine houses. Because it was a shame to smash them down. He said I might still make use of them. Yes, off his property, some quarter of a mile away. You worked for a contractor before? No, I bought a whole set of tools. I built two or three houses when my mother was alive. You must have worked with a carpenter before. Yes, I worked with a carpenter, and I bought a whole set of tools and hired two or three men and a foreman and we built the first house on Eastman Avenue. I worked along with the men and after that I sort of got away from it because I was planning and buying lumber. I was in the plumbing business at the time. Fortunately I got hold of a plumber who was a master plumber and I did plumbing on the outside all over, too. I had eighteen plumbers working for me. I'd buy lumber by the carload, shipped over from Canada to Batavia and I'd get right off the switches there and I'd drive down, build twenty or thirty houses at once. I'd have the same sizes only switch them round and I knew just how much would go in the house. Every 2 by 8 shingles and all that. I knew just how much to go for every house, you know, so I'd deliver so many 2 by 8s of course to one house, some other shingles to another house. Then I'd hire the carpenters. I wouldn't have to have a whole set of bookkeepers. I just had one man bookkeeper there and so it was a nice set up. So this would give you more incentive to work? After that I got to building houses around the city too, and then after that, I went into apartment houses, and I built big apartments too. Also a professional building in the city for the doctors. I bought that off a fellow that was bankrupt. He built the building and war came on, WW1, and he couldn't rent if out and I paid him $100,000 for it. I sent letters to doctors all over the city and I filled it up with doctors; when they came back from the service all the doctors and I sold it for $208,000 a couple of years after. Good for you. Did you have a difficult time surviving the depression? Oh, awful! Oh boy, did I have a time! You just couldn't collect. The people had no money. The whole bottom fell out. Did you do any building during the depression? No. Just before the depression I built those apartments. That depression was wicked. I vowed then that I wasn't going to build any more houses. I'd rather buy stock because I came to the conclusion if I wanted to sell stock I could go out and sell it the next day, but when I had real estate, Iwas stuck with it. Nobody wanted it. You couldn't rent it or sell it so I wasn't going to get into that hole again. I kept out of it. So did you build any houses after the depression. No, not after the depression. You mentioned that your grandfather, Donald Mackenzie, had some disagreements with John Jacob Astor. What was that about? Well, it was something about the way he criticized my grandfather and about the way he handled things. There was some discussion about the settlement of certain accounts that my grandfather claimed were due to him. However, they took it to court so I guess they brought it over to Chataqua County, they lived there, and they settled it in some manner. My grandfather was satisfied and was paid off and they were friends after that and there were letters, back and forth. How much money do you think that he got out as his settlement? I think maybe around a couple of hundred thousand dollars. Your grandfather would have retired from the fur trade, I suppose with a fair amount of money. Oh yes, I remember there was some talk my mother told me about the final settlement before he left Fort Garry. He took his money when he left there. What did he do after he retired? Did he invest in real estate around there? Yes, in Buffalo. He went up there. There was big talk about development near Niagara Falls in Buffalo and Black Rock and he bought of land there known as Black Rock farm land. I suppose, he got an idea from Astor to buy land and wait until the city builds to it. Did he have land any other place? Not that I know of, except at Mayville; he bought mortgages, and took mortgages on properties. The family carried it on years after that. My mother used to say that when she was a little girl, my Uncle Henry was in charge of the property, all of my grandfather's assets. He invested it, kept on the mortgage business. She had a big long table in the living room and on interest day that table would be full of silver dollars and coins. This was when your grandmother was still alive? Yes, so that when the people came, they'd all pay in cash. They didn't do business with banks. I often thought "Where the hell did they put that money at night to keep it from being stolen". They must have had a safe or something, I imagine. Yes, they had some system set up. When did your grandmother die? She died about six months after my mother was married in 1882. She'd have been quite an age by then? She was in the late 70's and she ran the family with an iron hand. She was a lot younger than my grandfather. She ran a strict operation, did she? Very strict. Of course they were mostly all boys in the family, so she had to. There was some drinking in the family there and I guess she had quite a time of it. Well the Scots were noted for that. They liked their whisky. The way my mother explained it was that she was a very religious woman. One of your cousins, John Mackenzie down in Mayville, told me that your grandfather was going to write a book about his fur trade days with Astor. He intended to write his memoirs. Well, he had it half written and my grandmother didn't like the way he was behaving. She said he was too irritable in the mornings so she took the whole manuscript and burnt it. What did he say to that? I guess he was plenty mad. I guess he couldn't say too much to her as she was the boss around the house. I remember my mother telling me about my grandmother giving him a talk at one time because he sneaked down the cellar to drink the milk before it was skimmed, that is while the cream was still on the milk. She told him that he was getting too fat and that he had no business doing that. I suppose they had little tales like all families do. Well, it's unfortunate that those memoirs were burnt. It would have been a great story. My mother said that he had everything described to a T. All these little incidents about the crooks and the wild Indians and all that stuff. Wild animals and diseases, troubles, big trials and tribulations that he had then. It was all described fully. There was one story where he was with others in a boat and they were starving. They shot a goat and it fell in the boat. The life of the Indians and the way they lived in the early days. We'll never know that now. No, not the way he'd tell it. He wasn't a damn bit afraid of the Indians. He fought them many times. I imagine for the most part he got along well with the Indians. He did. He knew how to do it; with Astor, the North West Company and the Hudson Bay Co. he knew how to handle them. They would go out in groups and he knew how to trade with them. All that stuff was lost in the memoirs he was writing. Your grandmother might have been sorry for it after. You mentioned that your cousin, John Macdonell, was a son of Jemima Mackenzie. Your aunt married John MacDonald, a photographer in Buffalo, he had a friend, a Mr. Bethune, who was an architect in Buffalo? Did you ever meet him yourself? No, I never met him myself. I just heard of him through my cousin John. Was this Mr. Bethune about the same age as your cousin or was he a little older? He came over from Canada? He was a relative of the Mackenzies who came over from Canada. Did you know if he had any family? Family was never mentioned. We didn't get into that. He could be related in some way to the fur trade families. I imagine so because, as you said, there was a Bethune in the fur trade. There was an Angus Bethune in the fur trade. Yes, John said that he did a big business with buffalo. He was a noted architect. There are two paintings hanging in the museum at Mayville, N.Y. Isn't there another set of paintings somewhere of your grandfather and grandmother? At my cousin's house in Coring (probably Corry, PA). Louise Ellsworth, a girl. She was a daughter of Alice, my grandfather's daughter. When Alice died, Louise Ellsworth continued to live in the old house in Coring, West Main Street. Is Coring in Pennsylvania or New York? Pennsylvania. Its right near the New York border. We went to attend her funeral and she had been in some nursing home. In 1953, the same year my mother died. We went to see her in the nursing home and she said that they were going to auction off the contents. I imagine that's what happened to the paintings. They were either given away or sold. Did you hear that they wound up in a library? I thought it was possible. They might be in some attic or with some relatives of this cousin of mine on her side of the house. Yes, I don't think they were destroyed because they were nice paintings. You mentioned earlier that your grandfather's first wife had three children; two daughters and a son. The son's name was Donald and he lived for a time with his father and then went out west. Is this in the western United States? Yes, they called him "the Indian boy" in Mayville at that time and he was a great runner. He'd run for miles you know, like an Indian. I think he probably thought there wasn't much for him, it being kind of a big family and so he went to the southwest. His father didn't hear from him for years. He finally got wind of something he was doing there. He was ranching, apparently. He was very wealthy on a big ranch somewhere. Then there was another rumour that he went to South America, Venezuela or some place like that, and he was a very rich man and he donated money for school buildings. However, I don't know if there was truth in that or not. In Sao Paolo, Brazil there is a University called the Mackenzie Institute. I did some research on this Mackenzie Institute as to how it got it's name and how it was founded. One of the things I found was that a John Todd Mackenzie was the founder of the Mackenzie Institute in Sao Paolo, Brazil. He was supposed to have been born in 1810. It says in 1822 that he was a resident of N.Y. State. He went to a revolution in Brazil when he was about 12. His father died when he was 14 in 1824 and he had to support his mother and two sisters. His mother died shortly after. He couldn't become a magistrate as he wished. He'd been going to apprenticeship to a lawyer who was a Doctor Gennaro in 1890 and gave his money in three equal parts to his sisters and for education in Brazil. He practised law for 60 years in N.Y. There may be no connection at all, but this is the information I got. Did any of the family keep in touch afterwards? He got completely away from the family for some reason. I don't know why. He probably had reasons of his own or he wouldn't have done that. He was only a young man; about 19 years old. His father must have had some feeling for him. Yes. Your grandfather might have given him some money and he went off to start on his own. The one that married the Peacock, do they have any descendants? I don't know of any. I'm pretty sure they haven't because I would have heard of it being in Mayville. You talked before about a D. D. McCrinnon who came over here and who was a relative of yours through the Mackenzies, who, after the first world war, had visisted you and you had kept in touch with him by correspondence afterwards. He would be descendant from your grandfather's brother John. Your grandfather's brother John, stayed in Scotland. He came out to Canada on a visit, but he didn't stay. His Son, Major Kenneth Mackenzie, who was a nephew of your grandfather's, was also a nephew of Roderick Mackenzie and his brothers Henry and James. He came out from Scotland in 1816; in other words, about 15 years after your grandfather came. He lived in Terrebonne. Roderick Mackenzie, your grandfather's brother, lived in Terrebonne, which is just outside Montreal. Henry also lived there and stayed with one of those two uncles, I don't know which one, for two years. He then came to Lochiel Twp. in Glengarry County and settled on Lot 15, in the 4th Concession of Lochiel. This is close to where my family farm is in Lochiel so I know the area very well. He farmed there and was in the militia and this Mr. McCrinnon that you knew would be a descendant from him. Do you ever remember this Mr. McCrinnon talking about any of his relations in Glengarry County? No. I don't remember that, but I was trying to think of those two old ladies that lived in that fishing village. I can't think of the name of it, near Inverness, a Lakeside resort in Scotland. They were very near relatives who my grandfather knew and that was 1918. This Mr. McCrinnon went to visit them? He went to visit them. They were living alone in this little fishing village and they knew about all of the Mackenzies. Everything he said. I don't think they had any issue. I don't think they were married. This D. D. McCrinnon went to visit them during the first world war? Yes, and he'd talk about Barbara Mackenzie a great deal, that's Donald's sister, when he was here. Whether he was a relative of Barbara's I don't know. Barbara was the mother of Alexander in Toronto and a great-aunt to McCrinnon. Three years ago I was down in Mayville and Jamestown, N.Y., investigating any papers that might have been in your cousin Donald Mackenzie's house after he died. I discovered the house was vacant for some time and had been broken into a number of times. I was talking to Dan Meekus of Dunkirk, N.Y. whose wife was a sister of Donald Mackenzie's wife and he has been doing some investigating for me to locate some of the material which might have been taken out of the house. He gave me the names of several people who I must get in touch with. One of them is a Mr. Shriver in Batavia in N.Y. who is a stamp collector and he was supposed to have received a lot of the old letters out of the house. Did you ever hear what happened to the house after your cousin died? No, I wasn't connected to the estate. I went there one time after he died. I went to Donald's funeral and then we went back to the house afterwards. Of course his wife was there. It was a good sized house and they built another little house inside the big one. That's sort of unusual isn't it? I never heard of one like it. He had all old motors out there. He even kept an extra motor for his Ford car there. This way if one gave out, he'd put the new one in. He was thinking of putting the new motor in the car, and that was sitting there. Everything was dilapidated and he had lots of stuff. Some of it had value, but seemed dilapidated from want of use. I wondered if you knew what might have happened to the papers or to the house? I think if anything was in there of any value, it was probably all stolen. Your cousin, Cecil Mackenzie did a lot of research in his book, "Donald Mackenzie, King of the North West" and was in correspondence with a lot of your common relatives in different parts of the States and Canada. In the published book, there is a letter that he received on the 10th day of October 1933 from a cousin who signs himself Louis Alexander Roderick Mackenzie. He says in this letter to your cousin Cecil: "Your letter of July 20 received in due time. I was pleased to find in you a cousin and I hope to have the pleasure of meeting you some day. It would interest me to know how your grandfather, Donald Mackenzie, was connected to my great grandfather, Roderick. Your clipping which you enclosed to me, I read with pleasure and herewith return with thanks". Do you ever remember Cecil talking about this cousin or did you ever meet this man yourself in Montreal? No, I don't recall that. You see that was 1933, and it was really outside of the near family. This man would be a second cousin of yours? His great grandfather your grandfather were brothers, but you've never met him. It says here also in "King of the North West" as I will quote so that I can ask you a couple of questions: "The London pistols were presented when Donald Mackenzie went over the Rockies in 1810 and are now in possession of Donald, one of his grandsons. That's the Donald that died 10 or 15 years ago in Mayville, also the grandfather clock, but most of the family mementos are in the possession of Alexander Mackenzie of Toronto, Ontario". I don't know how he got them. He must have gotten them from Cecil originally. I don't think Cecil would give them. That's what Cecil is saying. He wrote the book and that's what he states here. Most of the family inheritance are in the possession of Alexander Mackenzie of Toronto. Did you ever meet this Alexander? No, only by correspondence. There was an attorney there, a man by the name of Tennant, of Mayville. He handled the estate and they had an auction. They sold all the old clocks and stuff in the house. This sale was, oh, I imagine about 1907. Tennant was a very prominent man in Mayville and I don't know if you could find the papers through his family. In reading through this book of your cousin Cecil's on your grandfather, there is a copy of a letter from Sir George Simpson and it's headed on board the steamer St. Louis, Lake Erie, 12th of May, 1836. He is writing to your grandfather. In one paragraph he says, "I heard of you the other day from a nephew of yours, the son of Sandy Langwell, who I found on board the boat between Montreal and Kingston, and from whom I was sorry to learn of your late illness". Now, who would this nephew of your grandfather's be? What was the connection, have you any idea? I don't know. As I said, I don't recall the name at all. Well, that's the way it's worded: "Nephew of yours, I heard of you the other day from a nephew of yours, the son of Sandy Langwell". I don't see the name on the family tree. Another letter from Sir George Simpson to your Grandfather reads, "I saw your excellent brother, James, last summer in Quebec. He'd been around with the worst of the Lair. He was pretty active for years, but he has lately suffered from the effects of an awkward fall he had last winter". This is your grandfather's brother, James, who was also a Nor'Wester and was in charge of the King's post down in Quebec. Did any of his family ever get in touch with any of Donald Mackenzie's family that you know? Were they ever here? Did you ever hear of any descendants visiting? No. My mother never talked very much of those uncles for the mere fact that they were so much older than her. So you don't know if any ever came over here for a visit? No. I don't think they ever did. I'll read another quotation from the book. This is a letter written from your grandfather, Donald, to your grandmother. He's writing from Buffalo back to her in Mayville. Your cousin, Cecil, makes this comment. He says, "A word in passing about the children of Donald Mackenzie's first marriage. Rachel and Caroline were soft-skinned and nice looking. 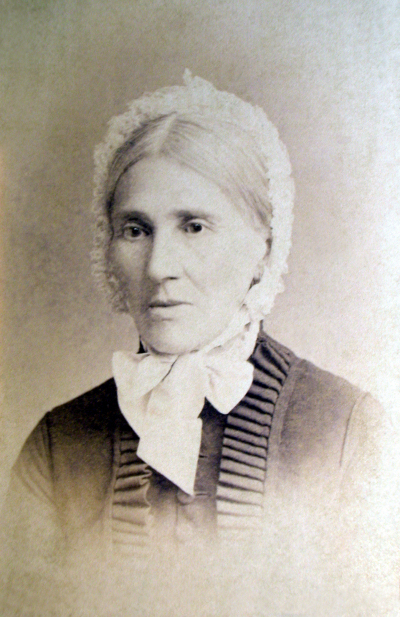 Rachel, at the age of 22 while living at Mayville married Thomas Peacock, nephew of Judge Peacock, a member of one of the great families of Chataqua County. She had a son who passed away very young. Donald, Rachel's brother, was at one time engaged to the niece of Judge Peacock and afterwards moved to St. Louis with a Mr. Broadbent". Did you ever hear if he stayed in St. Louis, this Donald? Who was Mr. Broadbent? Did you ever hear of him? No, but I heard he was 19 when he left. While on the subject of Donald's descendants, here is a letter with two notes made by your Aunt Jemima, Mackenzie-MacDonald. Mr. Bethune, who was a prominent Buffalo architect was a grandson of Sir Roderick Mackenzie, Donald Mackenzie's brother. If you remember, Thomas, about two to four years ago I first got in touch with you. The way I got in touch with you, if you recall, was through getting some of Alexander's papers. I didn't get these here. I got them in Richmond, Quebec. Amongst the papers were copies of old letters on your letterhead: 'Thomas Eddy Real Estate and Contracting, 468 Seneca Parkway, Rochester, New York'. That was back in the 1930's and of course, I had no idea how old a man you were or even if you were still alive. One day I started checking through the Rochester phone book to see if there were any Thomas H. Eddys, and, of course, I came over here and met you. These copies of letters are interesting. This Alexander was in touch with these other relations of yours and his, down in Lexington, Quebec. There was a Florence Mackenzie. Did you ever meet her or remember talking to here? She is the one who had this material. I had heard of her but never met her. One of the things that's here is a letter, written in 1839 to your grandfather, Donald, by his brother, James; it says at the bottom: "Transcribed by Alexander Mackenzie during 1865". Where would you have gotten the original of that to have it sent over there? That was long before Cecil wrote his book, too, wasn't it? Well, I don't know when you sent it, because there's a date on when the original letter was written, but there's no date when you sent it to Toronto. As I remember, I had old letters my mother had written. I wonder what's become of them. One of them I gave to you. You remember? You had it translated for me from the French. This cousin of yours in Mayville, John Mackenzie, whose son is a pilot over in Viet Nam, has a set of matched dueling pistols that were presented to your grandfather. Who gave these to your grandfather? Apparently my grandmother, Adelgondie Dron (correct spelling is AdelgondeDroz – S. Ben Mackenzie – July 15, 2005). She got them from her folks. One of the stories that John Mackenzie told me, I don't know how accurate it is, was that they had been presented to your grandfather by Queen Victoria, to your grandfather. His story was that your grandfather had been offered a knighthood to be Sir Donald Mackenzie and that he turned it down because they wouldn't accept his part-Indian wife as Lady Mackenzie. This couldn't be accurate due to the fact that by the time he would have been offered a knighthood, which would be in the 1830's, he was married for the second time to Adelgondie Dron (correct spelling is Adelgonde Droz – S. Ben Mackenzie – July 15, 2005), who wasn't part Indian, she was Swiss. What story did you hear about the pistols? I heard that she had brought the pistols over from Alsace-Lorraine and gave them to her husband. Yes. I don't know if she gave them to him or if she kept them. I'll never have any connection how they ever came to him. I think she always held them because he died before she did. They must have been left in the estate and then given out to one of the heirs. I don't think my grandfather had anything to do with those pistols. I can't think of any more questions so we will end the interview for now. Thanks for your help.